The on-screen keyboard is built-in Windows component that provides the ability to simulate pressing the buttons on the keyboard. It is possible to manage with a mouse, stylus, joystick or using one or more buttons of the keyboard. Basically this app is included in the basic OS programs for people with limited functionality, but for some tasks it can be useful to almost any user. Click the "start" button or press either of two buttons to win - you will reveal the main menu of the Windows operating system. Move the mouse cursor on "All programs" in this menu and in the popup submenu, select "Standard". The following nominated section of the menu, hover the cursor over the folder "accessibility", which will lead to the emergence of a fourth, this time the last section of the main menu. It click, on-Screen keyboard and the application will run, and in addition to it will appear on the screen a message indicating that Microsoft may offer more functional program for working people with limited functional abilities. Part of this undoubtedly useful information, check the box "do not show this message again" if one of you enough reading, and hit the "OK"button. Use the standard dialog to start programs if to open the on-screen keyboard does not wish to go on a multistage journey to the main menu Windows. To do this, first press win and r - this combination duplicates the command "Run" menu on the "start" button and calls the dialog on the screen run programs. In the dialog that appears, type the command three - letter osk. This reduction from the full English names on-screen keyboard - an OnScreen Keyboard. Then press enter or click "OK" and the system launches the right application. Double-click the executable of this program in Windows Explorer, if both of the above method for some reason does not fit. Start the file Manager, you can simultaneously press win key and e (it is the English letter) by either double-clicking on the icon "My computer". To search for the file name osk.exe should be a folder called system32, which is nested in the WINDOWS folder on the system drive of your operating system. Many Java games on phones and on computers, there is a virtual keyboard that delivers the many users discomfort and interrupt your game play and workflow. Of course, many have the desire to get rid of this drawback. How to do it, don't know everything. To disable the screen keyboard, do the following. Go to the menu and click "Options". Then go to "task Manager". Then select the desired application and click Options. Select application settings in the opened contextual window. Find the on-screen keyboard and press "Disable". To disable the onscreen keyboard in Windows perform the following steps. In the search box type "Windows features". Or just go to "Programs/features on and Off". Find "Tablet PC optional components". Uncheck the box standing next to them. Click OK.Then restart the computer, now the onscreen keyboard will not appear. After carrying out the above actions on-screen keyboard will be disabled. Now you will have the opportunity to work on the computer or playing on your phone, using the whole screen, because the on-screen keyboard took his quarter. An uncomfortable laptop keyboard, you can easily disable that when you install on top of it an external keyboard to avoid accidentally pressing. Standard means Windows it is impossible, but to enlist the help of a special program nobody forbids. The question of disabling the keyboard on laptops users puzzled for a long time, but the solution to this problem is not known to everyone. Meanwhile, setting your computer program Toddler Keys can once and for all to close this question. You need to download the program at www.tk.ms11.net and install it on your computer. Toddler Keys work on any current versions of the Windows operating system, including Windows 7. After installing and launching the program on the task bar icon will appear in the form of two letters T and K, in which clicking the right mouse button, select Lock Keyboard. The keypad will be locked. By default, the program automatically disables the off button of the laptop and blocks the opening of the optical drive. Enable button and activate the actuator by removing checkboxes from the menu options Disable Power Button Lock and Driver Doors. Double click the icon on the taskbar will lead to full lock the keyboard, mouse and screen. To unlock you must enter the password shown on the screen. The onscreen keyboard is much easier to work with a computer to people with mobility impairments and also helps to enter data in the language, the layout of which is missing on the physical keyboard and protects you from the when you enter sensitive data. The onscreen keyboard cannot enter the operating system be a third party program and used on individual web pages. Launch of preloaded on-screen keyboard as follows. Go to "start" - "All programs" and select the folder "Standard". In this folder you need to open the list. It is the on-screen keyboard that can be run by clicking on it. 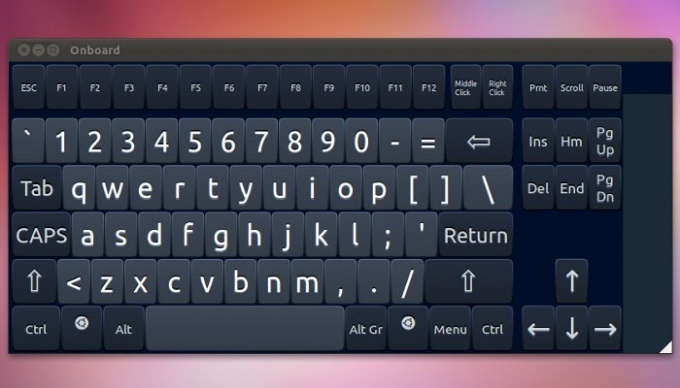 This onscreen keyboard can be customized to your own need. For example, in the menu "input Mode" you can define how will be the selection of characters that you want to print: using delays, or by clicking on the desired button. In addition, you can adjust the display mode on-screen keyboard. If the keypad requires you to enter characters that are not in the layout of a physical keyboard, then the most expedient solution would be to install a third-party on-Screen keyboard" (Virtual keyboard). Download virtual keyboard at this link: http://mistakes.ru/download/virtualkey. 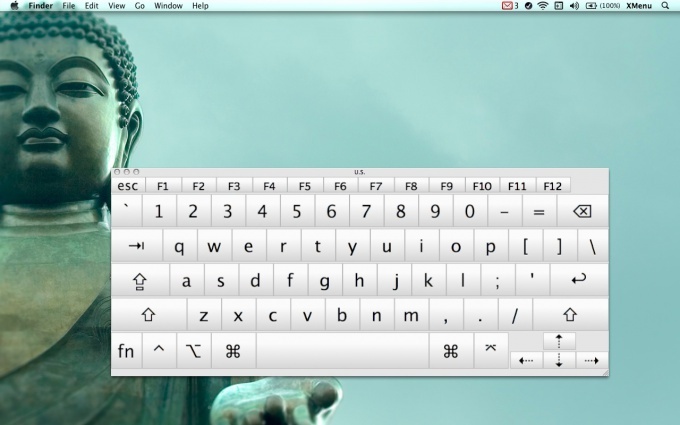 This keyboard supports 75 language layouts and you can use it to enter text into 53 languages. It runs as a normal program, by clicking on the appropriate tab. 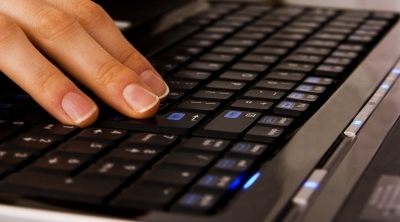 The onscreen keyboard can also be a feature of some web pages. Thus, many mail services and search engines (such as Google and Mail.Ru) have on their pages a special script to cause a virtual keyboard that can be relevant for people who use a computer in a different country and the keyboard which is not provided Russian language. 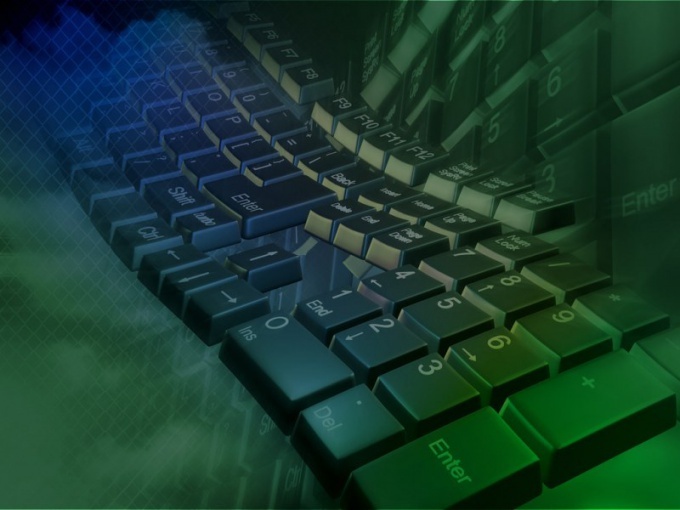 Another possible field of use of the virtual keyboard is a secure input of sensitive data (passwords, Bank account numbers, credit cards). If You do not exclude that for You watching any program that registers Your keystrokes on the keyboard, the virtual keyboard is a solution to this problem! 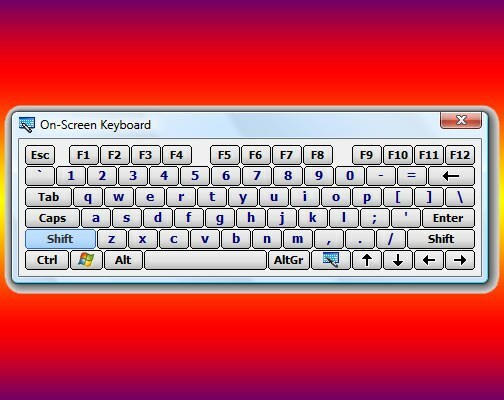 The onscreen keyboard is one of the standard tools of Windows, which facilitates the work of people with disabilities, and also allows you to enter data in multiple languages, the layout for which there is no physical keyboard. To launch the preinstalled virtual keyboard, open the start menu and click All programs. In the list, hover over the tab "Standard" and select "accessibility". The onscreen keyboard is in the middle of the list that appears, click the screen with the left mouse button. When you first start the program will open a notification window. To disable, select the check box "do not show this message again" and click Ok.
Configure the on-screen keyboard for comfortable work. You can enable audible confirmation when pressing keys, additional keys to enter or change the font size. If necessary, deactivate the virtual keyboard on top of other Windows. In the program settings you can set to automatically start when you turn on your computer. If the standard on-screen keyboard does not meet your needs, install a third-party version of the program. Download it in the Internet, the most common program (e.g. 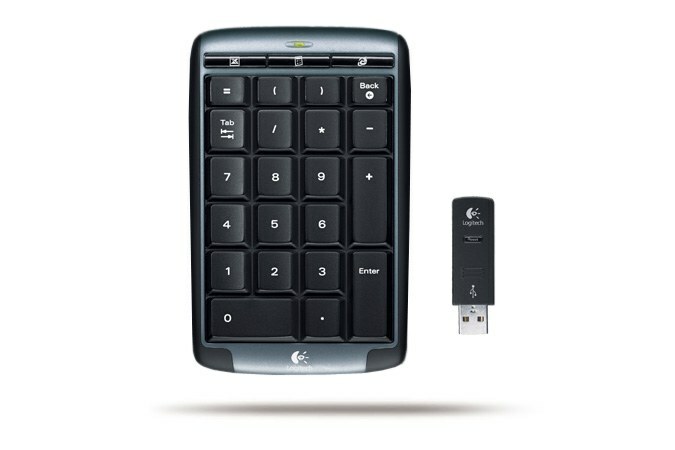 Comfort On-Screen Keyboard, Virtual Keyboard or Any Language Screen Keyboard) supports up to 75 language layouts. For security enter confidential data virtual keyboard also inserted in the web page. Many search engines and e-mail services (such as Mail.Ru or Google) have on the pages of the script, allowing to start on-screen keyboard. The on-screen keyboard built into some antivirus programs. It allows to protect user from the actions of spyware and Trojan viruses. If you enter, for example, credit card number or Bank account, use virtual keyboard to ensure the security of data entry. 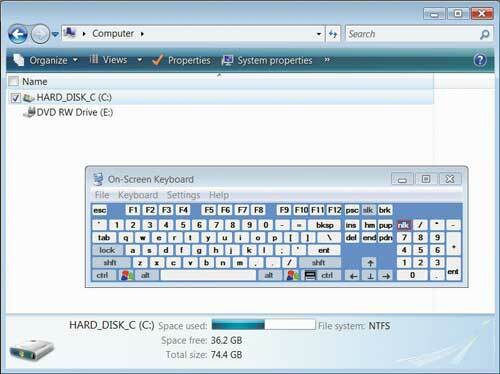 Enable on-screen keyboard is standard procedure of the operating system Windows any versions. This feature can be useful when fault normal keyboard. The operation does not require additional software and carried out the normal operations of the system. Use the search feature to enable on-screen keyboard. To do this, access the main system menu by pressing the "start" button and type "onscreen keyboard" in the text box of the search string. Confirm your action by pressing the "Find" button, and open the link found. 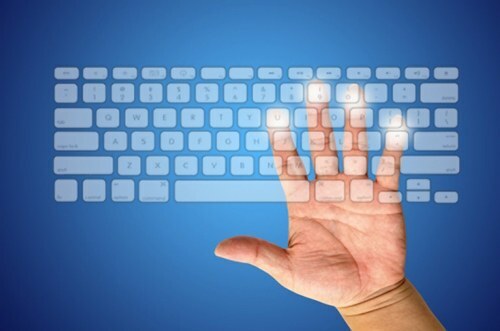 Use an alternative method of incorporating on-screen keyboard. Return to the main menu start and click All programs. Open the link to "Standard" and expand accessibility. Point, on-Screen keyboard. Open menu "Settings" in the opened window, keyboard and apply the checkbox in the row of the desired settings:- press keys - use soft keys when entering text;- hover over keys to use the mouse when entering text;- scan keys to automatically highlight areas of possible introduction of keyboard characters. Confirm saving the changes by pressing the OK button. Configure additional settings on-screen keyboard. So pressing was accompanied by a sound, use the checkbox in the row "Sound confirmation" and confirm your selection by pressing the OK button. To use numeric characters when typing text, mark the checkbox in the line "Turn on numeric keypad" and apply changes by pressing OK button. Use the text prediction, enable you to display possible words as the user types. To do this, click "Settings" you will need to apply the checkbox in the row "Use text prediction" and confirm the application of the changes made by pressing OK button. Remove the checkmark in the line "Insert space after predicted words" if you don't plan to use this function in automatic mode and confirm your selection by pressing the OK button. In some cases, multimedia function keys F1-F12 appear without clicking the function keys Fn. This error can be corrected by the user, although there are specialized programs designed specifically for this. However, it is not to all models. First of all, carefully read the user manual that came with the package any model of laptops. Section on work with the keys of the device, may contain additional information about resolving this error. In the absence of technical documentation, please, refer to specialized Internet forums devoted to a particular model of laptop. Try to disable the multimedia keys of the device by simultaneously pressing the function key Fn and NumLock. In some cases this action is sufficient. Restart the laptop and press F2 or Del (depending on models) to enter the BIOS mode. Navigate to System Configuration using keys with arrow symbols up and down. Find the row with the name of the Action Keys Mode d left side to open settings dialog box and change the value of the checkbox to Disabled. Navigate to Exit and select Save Changes & Exit. Confirm the selected actions by clicking the OK button in the opened window of the query system. This procedure should fully restore the functionality of the Fn keys. If the laptop is made by Toshiba use special software HDD Protector, available for download on the official website of the company. The app is free and can be easily installed on a computer. To do this, run the executable file of the program and follow all recommendations in the installation wizard. Launch the installed application and click on the tab "Optimization" in the main window of HDD Protector. Open the link "accessibility" and uncheck the line "Use Fn key" in the dialog box. Click OK to apply the changes (for laptop Toshiba). Virtual keyboard allows you to type text without a computer is connected to the physical input device. This option is often used on a tablet PC. Settings the on-screen keyboard is using "ease of access Center" in Windows. To disable the option start control Center "special features". For this you can use the menu "start" - "control Panel" - "ease of access Center". In the window that appears click on the option "Enable on-screen keyboard" to enable or disable. When the option appears a means of text input, which is a small panel with keys similar to keyboard keys. To close this window, click on the close icon in the upper right corner of the application. If you are using Windows Vista, when you enable the on-screen keyboard is also activated option of control panel notification Windows, which is located in the lower right corner of the system. Click on the on-screen keyboard and click on the link "launch keyboard at logon" and then uncheck "Use onscreen keyboard". Save your changes by clicking "OK". If the keyboard is loaded each time at system startup, you can remove it from startup list. To do this, go start and in search programs in the system, enter a query mscofig. Click the result, run the tool and then go to the tab "startup" of the system. Uncheck the "on Screen keyboard" and click "OK" to save the changes. "Ease of access center" offers a large number of options to activate modes that facilitate the use of the computer. In addition to the virtual keyboard, you can activate the option "Screen reader" that reads the text displayed, and describes what is happening in the system. "Setting high contrast" allows you to display items on the screen, allowing you to use a computer for people with visual impairment. Deactivating these options is also carried out through the "ease of access Center". To start the management program accessible in the system you can also by pressing the key combination Win and U on the keyboard. The Win key is to the left of the Alt button.